The area around Mikuni Town, where our hotel is, is well known for its various seafoods, such as Echizen crab. After you experience the Tonjinbo Cliff, which is a place of rare scenic beauty, and a magnificent view of the Sea of Japan, please enjoy our fresh seafood meals during dinner. 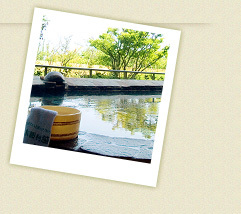 We provide everything for you to relax your body and soul at Mikuni Hot Spring “Arisono-yu”, which has a large indoor and outdoor bath. We are waiting for you at Kyukamura Echizen-Mikuni, the place, where you can create sweet vacation memories!